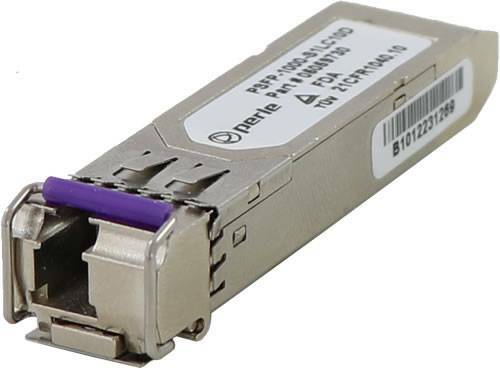 PSFP-100D-S1LC80U Fast Ethernet SFP Optical Transceiver. 100BASE-BX 1490nm TX / 1550nm RX single fiber single mode (LC) [80 km/49. 8 miles]. DOM ( DMI ) - Digital Optical Monitoring. ( GLC-FE-100BX-U-80km ).